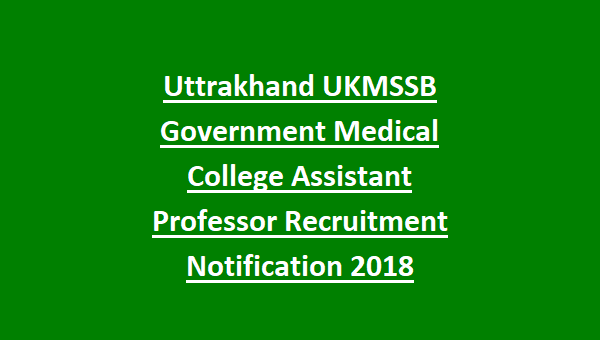 Candidates interested to join GMC Uttarakhand as Assistant Professor must have secured MBBS degree and Post-Graduate/Diploma in the concerned subject along with 3 years of minimum Teaching Experience in the concerned department. Candidates intending to apply for Faculty Jobs at Uttarakhand Government Medical Colleges will be selected on the basis of Written Exam followed by Interview/Viva-voce test, Document Verification and Medical Examination. 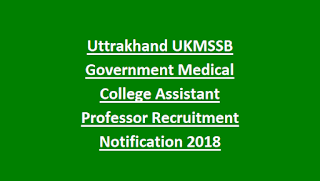 Candidates interested to join Government Medical Colleges of Uttrakhand as Assistant Professor must fill the online application form through the official website http://www.ukmssb.org/ on or before 26th October 2018.